All things take time, and in a world like the Soul Society there was plenty of it. That didn't stop it from marching on the same as the rest of the worlds though. For now though, let us turn back the hands of time for a while. It was a mere handful of days since the events that brought the the third seat of the Sixth Division into contact with her notoriously carefree Vice-Captain and the little farce that had played out had led to the promise of a date. Joshua was a man who kept his promises. And so, in this crystalline moment before the Gotei would fall fully into a war it had really always been in one way or another there was a certain amount of freedom available that wouldn't be in the near future. It was that freedom that Joshua had decided to use here. He'd sent word on to Erina of what day they'd have their date on, and told her to make sure she had a gigai ready to use. The World of the Living had so many interesting places to go and see, so it would make for a much more interesting time in his opinion. He had a plan as well, a kind of food that he doubted Erina had ever tasted and would likely enjoy. While a dinner date may have been what some people considered routine, there was something to be said for introducing people to new foods and experiences. He showed up on time at the Senkaimon, where they'd agreed to meet up. He smiled as she approached, and hoped down from his perch he'd found some time ago. You see, he'd come here early since the Senkaimon actually proved to be another great spot for relaxing in general; so many people were constantly going through that no one expected you to be there, so no one looked on top of the building. He landed with surprising grace, dusting himself off and ignoring the surprised looks from some of the surrounding shinigami. “Shall we?” he asked with a smile as the gate was powered. The message was recieved and the nerves set in. Erina didn't remember a time that she had been on a date, and questioned whether this really was one. She did not know Joshua at all. The only hints she has to who he is are the rumors of laziness, the ability to stay unseen, and his quickness to ask a woman out. Poor Erina had her mind running in all directions she wished it wouldn't. Her self-esteem was being tested and it was already weak in the first place. Why in the name of the Soul King would anyone want to ask her out? This was a question many asked themselves, but none were as nervous as Erina. The day came and went very slowly for her. She took hours to get ready, only to remember that what she was wearing wouldn't show on her gigai. Upon remembering, she hopped into her shihakusho and made her way to the senkaimon once she had her gigai. As she made it to the top, having passed the stairs in her normal form, she slipped into the fake body and made herself known by stepping out near the gate. Having no idea what she should have worn, she was in a casual black and blue flannel mini-skirt, white button up shirt, black vest, accompanied by three inch black heels that she walked very well in. She jumped, startled at hearing his voice. You'd think she would have sensed him there, but her mind was elsewhere. "S-Sure. Are you sure you wanna do this? I mean... Well, yeah, are you sure?" Erina didn't want to say it out loud, but there was a hint of 'with me' that would have come at the end of her question. Once she got her confirmation, assuming he wasn't going to suddenly change his mind and leave her, she nodded and in a nervous silence, followed him through the senkaimon. Erina had dressed up, and she looked good doing it. Joshua had no qualms about showing that he noticed either. He gave her another smile. “Well, shall we?” he asked as he started towards the gate. He snapped his fingers and came to a stop. “Right; one sec,” he said, and vanished as he jumped back to the top of the Senkaimon to recover his gigai. He took a breath and stepped into it. When he next appeared on the ground next to Erina, he was dressed quite differently. He wore dark slacks and a dark sports jacket cut in what was a modern style. He wore a simple blue t-shirt beneath it. He rolled his neck as he started towards the portal. “Always takes a bit to get used to these in my opinion,” he said as he stepped through the Senkaimon. He'd chosen his time very precisely; there was a group of Shinigami from the Fifth Division who were going out to the world of the living in a close to where he was planning this little date to go. One of the people running the Senkaimon today happened to owe him from a previous few hands of cards. And so, the Senkaimon opened a few minutes early today. “You make that outfit look good,” he complimented, flashing her a smile. Erina waited patiently for him to return. When he did, she noted the outfit change and was glad she chose a more casual look. 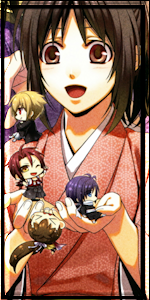 There had been a moment where she thought to wear a rather ornate kimono she had in the back of her closet. Luckily, she chose otherwise. "I don't wear one often, so I do agree... They're kind of a pain at times." Erina wiggled herself a tiny bit to adjust the gigai's fitting. The two stepped into the Senkaimon with Erina's original question unanswered. Because of this, her mind went along a few more negative paths. She was silent until he commented on her outfit. "O-Oh? Thank you." she replied with a nervous blush. She fell silent for a few more moments. "You didn't answer my question!" she said suddenly, still as nervous as a school girl, "A-Are you sure you want to do this? I-I mean... I don't understand why you asked me. I figured it was pity or guilt because of the squad, but you don't have to take me anywhere! I'll understand if you change your mind." 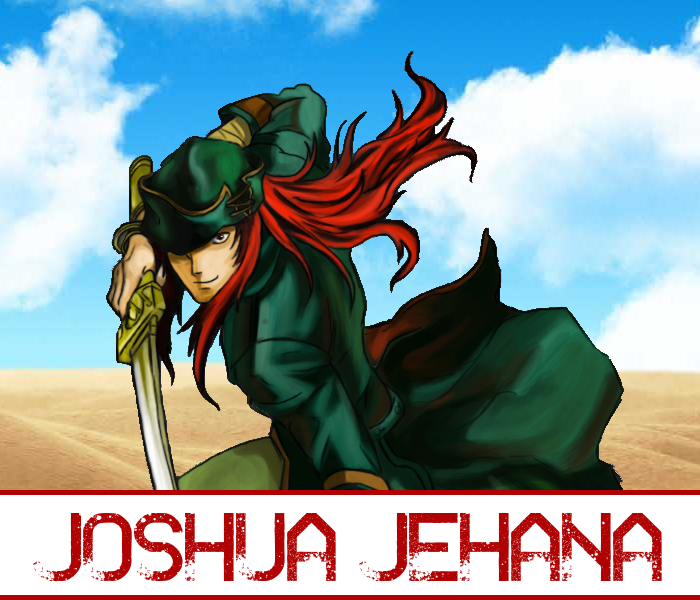 Joshua didn't stop walking, because standing still in the Dangai Precipice was generally considered a poor idea at best. He did look over though as Erina spoke up, her nerves showing even more obviously than before. He raised an eyebrow as she questioned him. As she finished though, he let out a short laugh. “No, I don't think I'll change my mind,” he said, flashing her another smile. “Besides, who would want to skip out on a pretty lady like yourself? I mean, I know some people are crazy and all but there are limits to insanity. At least, there are supposed to be. I think.” He trailed off for a moment, as though he was going to leave the conversation there while he pondered the nature of insanity; luckily for all involved, maybe, he abandoned the fruitless train of logic. “I asked you out to dinner because I know very little about you. I know what your records say, I know what I've seen with my own eyes, and I know what others say about you. That all chalks up to not a whole lot in the grand scheme of things. Besides that; you're pretty, you speak well which shows that you're intelligent, and you seem like honest people. I thought it might be fun to enjoy your company for a night, if you'd join me, and maybe learn a little more about you,” he said as they walked through the shadowed dimension that was between the worlds. His laugh only made her blush out of embarrassment, but the smile he showed soon after helped it fade. Erina kept walking along with Joshua, her hands clasped together in front of her while she fiddled her fingers about. The compliment caught her off guard. She looked at him with wide, curious eyes, wondering how much of what he said he meant. "Thank you." Erina mustered up a whisper in reply. "Okay then." Erina perked up quite a bit at his explanation. She was still nervous, but the blushy smile gracing her features didn't allow it to show. "It has been a long time since I've gone somewhere for fun. Most of my life consists of training and that's only fun for some." she explained casually, trying to show her gratitude, "So thank you, Lieutenant Jehana. Your kindness is both refreshing and uplifting... Where are you taking me? If you don't mind me asking... I'm curious about what is on the other side of that door." Erina motioned forward, the exit to the dangai coming up pretty quickly. It was good to see her loosen up a little bit, and he let her talk as they walked down the pathway. Eventually though, she turned to question where exactly they were headed. He shook his head at that, though he was still smiling. “Oh no you don't; that gets to be my surprise for the evening. Put simply though, we're going to dinner. I think you'll enjoy it though,” he said as he stepped through the white door into the World of the Living. A thriving city spread out below them, the last fingers of sunlight giving way before the inevitable darkness. “Amazing how people have found a way to push back the night, isn't it? Come on,” he said, giving a motion of his head as he flash stepped down to the bustling street. Surprisingly, no one seemed to notice. As he started walking down the street after Erina had caught up, he had a sudden worrying thought. He turned down an alley as he looked back at Erina. So he was wanting to surprise her? Hm. This would be interesting then. She smiled and nodded. As they stepped through the Senkaimon, Erina took a moment to look around, seeing if she could guess about their location by the sights around, but nothing came to mind. She saw no landmarks she recognized and since night was coming, it was harder to tell anyway. "Hm?" Erina looked curious at Josh and then followed him to the ground, "What did you mean by that? Pushing off the night?" Erina followed him down the street, looking around curiously at the people. They were obviously in an oriental country, but couldn't figure out what he would want to eat here. She dreaded the thought of eating anything with a tentacle, and a momentary look of horror came over her face as the thought entered her mind. She shuddered and looked back to him as he asked his question. "Vegan." she said and stared at him for a moment before a smile graced her features, "No, no. I'm only joking. I'll try anything once, as long as it doesn't have a tentacle, eyes, tongue, or some slimy feel to it. Ew." Joshua raised an eyebrow when she commented about being vegan. Well, that would certainly have changed his plans if she didn't crack a smile at her own joke. “Pity; they do a delicious squid here,” he said simply, and started forward once more. Joshua was good at making jokes, and this meant he was equally good at keeping a straight face as he walked on down the alley towards the next street over. The fact that his statement was true might have helped. He led the way on to what equated to one of those hole-in-the-wall restaurants; a sign above spelled out something in Korean. He opened the door, holding it for Erina. “After you,” he said with a smile, and followed her in. He told the person who walked up to them for a table for the two of them. Great benefit of the Gigais they issued now; given enough time and technology the twelfth had found a way to make the faux bodies speak most languages without really having to do anything. Granted sometimes outdated pieces of speech survived in the bodies, but it was a small price in social embarrassment to pay for effectively being able to mingle among humans as Shinigami went about their job of putting souls to rest and slaying monsters. The two of them were seated at the table that featured some kind of grill in the center. As they sat, menus were placed before them written entirely in Korean. Joshua didn't bother really looking over the menu. “So; chicken, pork, beef, or some variant of sea food?” he asked. They came to the restaurant Josh was taking her to and Erina wasn't originally going to walk in first. When he held the door open, she smiled and hurried herself on in. "Thank you!" she said cheerfully, kind of surprised by the action. She followed him to the table they were seated at and looked around the room. She took in the area around, looking at the many decorations. She had never been to a place like this before and the atmosphere was quite warm. She didn't even take a look at the menu. "Huh?" Erina turned her attention back to Josh, quickly picking up the menu to take a look, "Um. Chicken? No, wait, beef. No! Chicken! Yeah, that sounds good. I think. What are they going to do to it?" Erina looked around at a few of the other tables, trying to get some sort of hint on the food that was served here. She saw a variety of foods and some of them did not look very appetizing. Of course, a couple had some squid or octopus and she didn't like any tentacles! "Kind of nervous about the food here." Erina motioned only with her eyes over to another table that had something moving and a fish with it's eyes still intact. "I don't have to eat anything like that right? Promise?" To Erina's question, Joshua just gave an all too easy-going smile. Before she could try and wrestle any further response from him though, he flagged down one of the various servers bustling around the place and put in an order for several things. He used the names off the menu and the man nodded, lit a grill in the middle of the table, and bustled off into the back to place the order. “Relax. Besides, going out to new places is about experiencing new things and being open to them. You can't go around trying to talk yourself out of everything just because you think you may not like it. How boring a place the world would be if that was how people did things,” he commented as he poured himself a glass of water. It stalled the conversation exactly long enough for the first course to arrive. A pile of marinated beef and chicken, as well as thin slices of beef free of any apparent seasoning was set down. Joshua flashed another smile. “Which isn't to say you have to try anything like that. I was just saying. And at the very least, I'm not going to make you try it as the first course; that would just be unkind,” he said, laughter running just under the surface of his voice. He began to pile the meat on the grill, moving it around with a pair of supplied tongs. The meat began to sizzle. Erina went to pull an answer from him, but he rushed along and she looked almost fearfully toward the food she had seen before following him to the table. She whined like a young child where he shouldn't have been able to hear her. She pouted some at being told to relax. She couldn't relax! For one, she was on a damn date with her Lieutenant. For two, this place had weird food and he didn't promise to not make her eat it! For three, weird food! "The Seireitei is boring. I know there have been some changes to allow more entertainment, like the increase in bars, restaurants, and even the movie theater, but our tech can't keep up with what we get here. You'd think we'd be more advanced, but the world of the living is... impressive." Erina stared at a flat-screen on the wall as her example. The big screens in the Soul Society weren't exactly... normal, and looked like they were made of organic material. Erina visibly relaxed, slouching a bit and sighing of relief when it really was just chicken and beef that showed up at the table. She had been worried that she would have to force something to slither down her throat. The thought of that made her want to hurl. "I'd say thank you, but I am now worried about a second course." Erina now felt like she was being picked on. She puffed up her cheeks and glared at him in a pout. She watched him play with the meat and felt her stomach growl a bit. She was already enjoying the smell and excited to eat, at least until he put her on the spot with his question. She stared at him for a moment, unsure of how to answer. "Well... There are a lot of reasons, I guess..." Erina put her hands nervously in her lap, fiddling with her fingers and sitting up perfectly straight. She pretty much went stiff as she thought on her answer. "I... I don't have any friends... and I don't get noticed by anyone who doesn't hate me." she said, lowering her head, eyes staring into her lap, "I also didn't think you meant it. I was surprised when you told me when we'd be going. I figured it'd be forgotten about or wasn't truly an offer in the first place. I know you asked out of pity, which is okay, but... I guess I accepted because I still have some hope that I can fit in around our Division. I don't want to be hated anymore, especially over something I couldn't choose. It just happened... I didn't ask for it."